40th Street AIR: 40th AIR Resident Brenna K. Murphy curates exhibition at the University City Arts League - Opening Fri May 16! 40th AIR Resident Brenna K. Murphy curates exhibition at the University City Arts League - Opening Fri May 16! 40th AIR Resident, Brenna K. Murphy, curates exhibition at the University City Arts League - Opening Friday, May 16th!As part of her 40th AIR residency community outreach, Brenna K. Murphy has curated a three-person exhibition at the University City Arts League this month. By including work of her own, as well as the work of Kay Healy and Emily Manalo Ruiz (artists living in Center City and South Philly respectively), Murphy aims to bridge the gap between the often divided art scenes of West Philadelphia neighborhoods and those east of the Schuylkill. 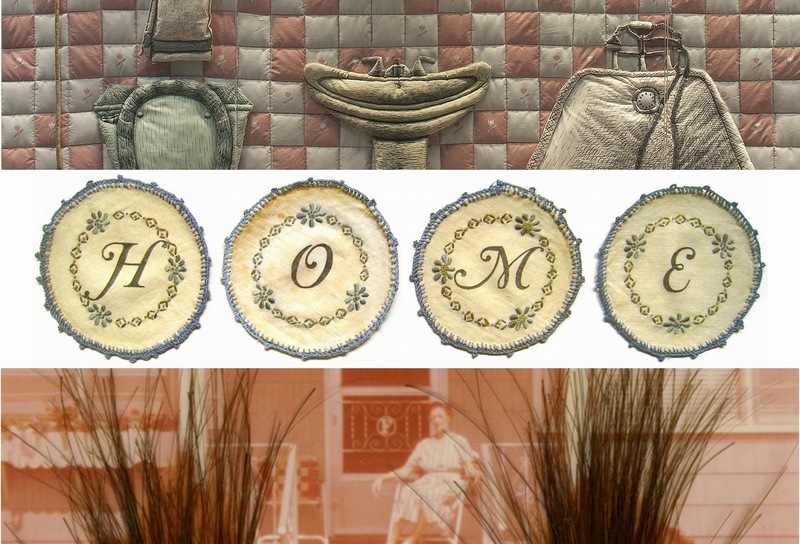 “Home” is Murphy’s first curatorial project and explores the concepts of home, memory, and nostalgia through a variety of media including hair-embroidery, ink-transfer, and soft sculpture. For people all over the world, the concept of home is an ever-present truth. The details may differ from culture to culture, but it plays a distinct role in our lives regardless of these differences. From the time we are born to the time we die, we are confronted with the homes that are provided for us, the homes we leave, the homes we return to, and the homes we make for ourselves. In “Home,” artists Kay Healy, Brenna K. Murphy, and Emily Manalo Ruiz invite us to consider what home means to us and how the parameters of its meaning can change. They explore this question in a variety of contexts and mediums, and are particularly interested in the inherent materiality of home. Domestic furniture and objects, textiles, everyday artifacts, and even the human bodies that occupy our homes are investigated in an effort to understand how these aspects of the physical world affect the intangible realm of human psyche and emotion. The University City Arts League is a community not-for profit organization that has been serving the community for 45 years through some 60 different classes throughout the year for adults and children, including an active pottery studio, an art gallery, after-school arts programming for children, and outreach in the community.